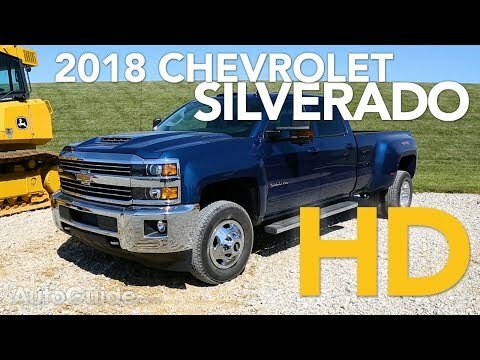 In the world of heavy-duty trucks, the 2018 Chevrolet Silverado 2500 HD and 3500 HD may not claim best-in-class towing or payload, but they are still major players in this segment, with an impeccable reputation for durability, comfort and owner loyalty. The optional Duramax diesel engine dishes out an impressive 445 horsepower and 910 lb-ft of torque. It has awesome torque, durable, strong,and runs great. Decent price for what I'm getting. Smooth ride, lots of room for my family and I. Can pull anything without issues. I have a 4 horse, living quarters trailer and it pulls this trailer with no problem!! !One of the best truck's I've ever brought. I will be sticking with Chevy for the rest of my truck buying life. Best 5th wheel diesel tow vehicle. The Duramax diesel has tons of power and easily pulls out 13k pound 5th wheel. The ltz trim package is beyond comfortable. With ventilated power seats for the driver and passenger, Bose sound system, navigation system, back-up camera, I cannot imagine anything they left out. That it is a diesel so don't put gas in the tank. I love the way the truck looks from the outside all the way to the inside. For being a one ton we get great gas mileage which makes traveling not super expensive and we have plenty of room.